A small independent Jewish community settled in the town of Bergen in the county of Hanau in the 14th century. This community owned two cemeteries up to 1933. 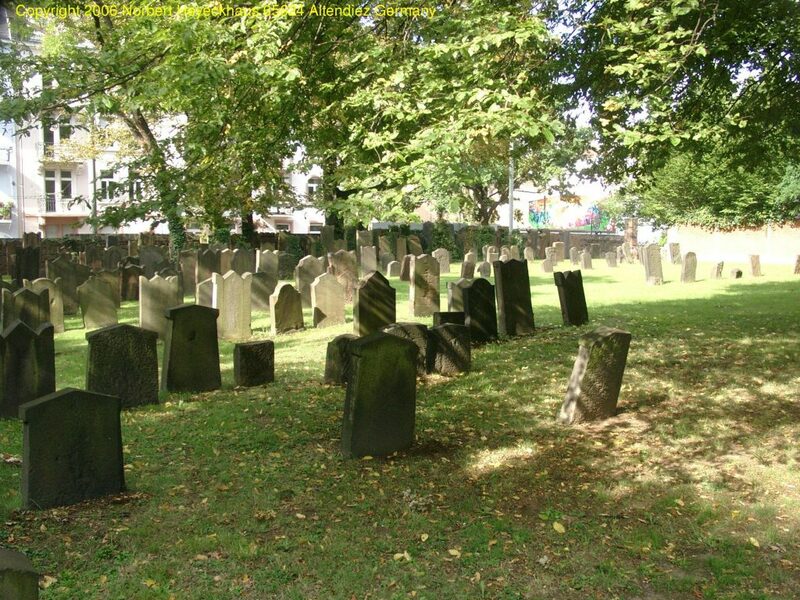 The “old” Jewish cemetery was probably laid out in the 17th century. The cemetery covers an area of 1,732 m² and is concealed behind the row of houses nos. 2-16 “Am Weissen Turm”. Deceased Jews went to “eternal rest” here up to 1924. Very few gravestones exist today. The “new” Jewish cemetery is situated a little way outside Bergen “Am Berger Galgen”. The area covers 180 m² and was occupied from 1925 to 1933. 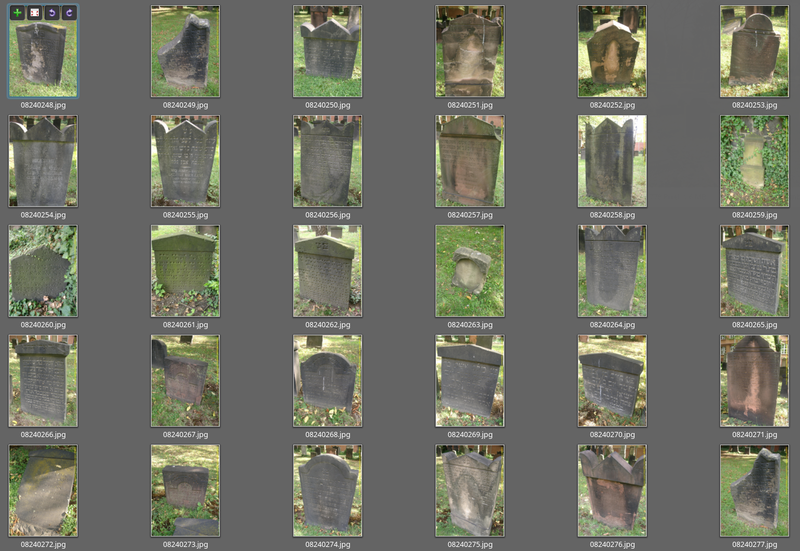 A few gravestones can still be seen today. There was also a small independent Jewish community in Bockenheim. When it was founded is not known. The community probably already existed when Bockenheim was still part of the county of Hanau, however. In 1736 the town became part of Hesse electorate, then in 1815 part of Hessen-Kassel. In 1819 Bockenheim was given a town charter, was annexed by Prussia in 1866 and then incorporated into Frankfurt in 1895. 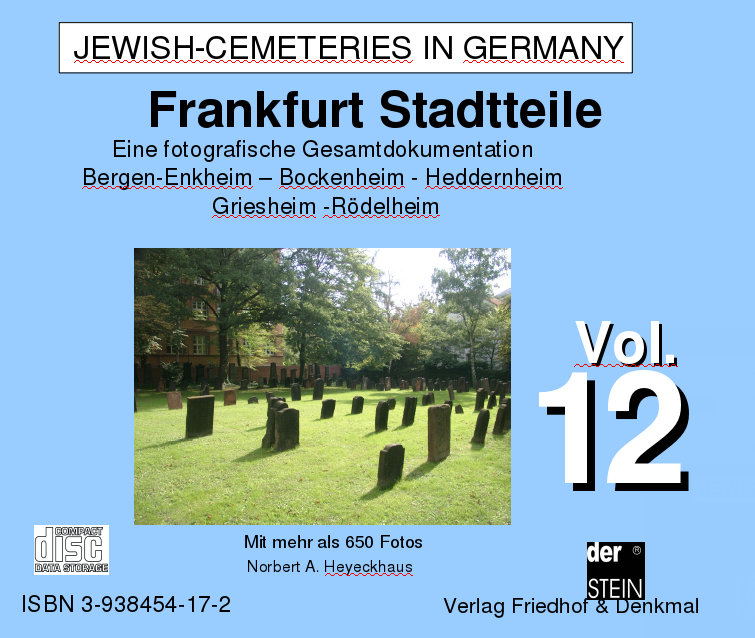 The old Jewish cemetery in Bockenheim is in the Sophienstraße. It is not known when it was founded, it was occupied until the beginning of the 20th century. Surrounded by a high wall, the cemetery area covering 1,641 m² cannot be seen from the road. Around 300 gravestones still exist today. 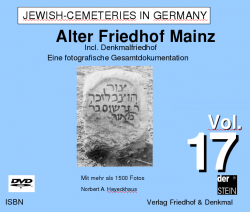 There was a very small Jewish community in Griesheim, which used to belong to the electorate of Mainz, then changed affiliation several times before becoming independent. 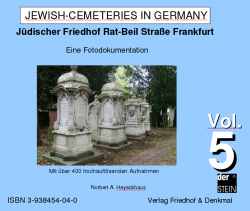 For a long time, the Jewish community had to bury its dead in Frankfurt or Rödelheim, it was not allowed to maintain its own cemetery. It wasn’t until the year 1780 that it was allowed to found a burial place on the banks of the Main river. 90 years later the grounds were bought up by the company IG Farben AG and converted into factory grounds despite massive protests. 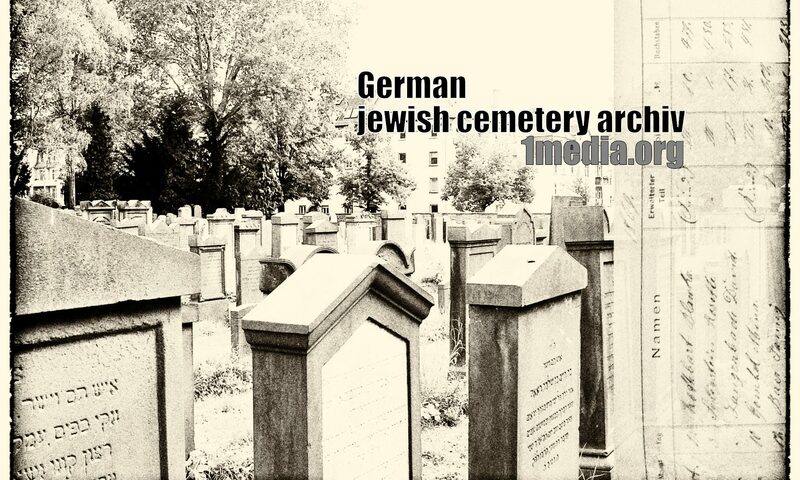 In 1897 the cemetery was cleared, contrary to Jewish tradition and despite protects from the Jewish community. 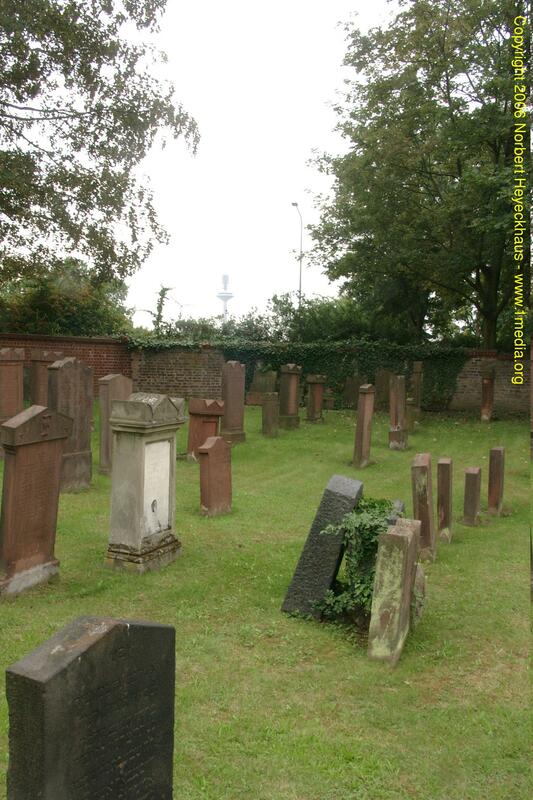 Around 40 corpses were exhumed and reburied together with their gravestones in a burial ground adjacent to the new Christian cemetery in the Waldschulstraße. This burial ground, where no further burials took place, can still be seen today. In Heddernheim, which was part of the electorate Mainz, there has been a smaller independent Jewish community since at least the 12th century. 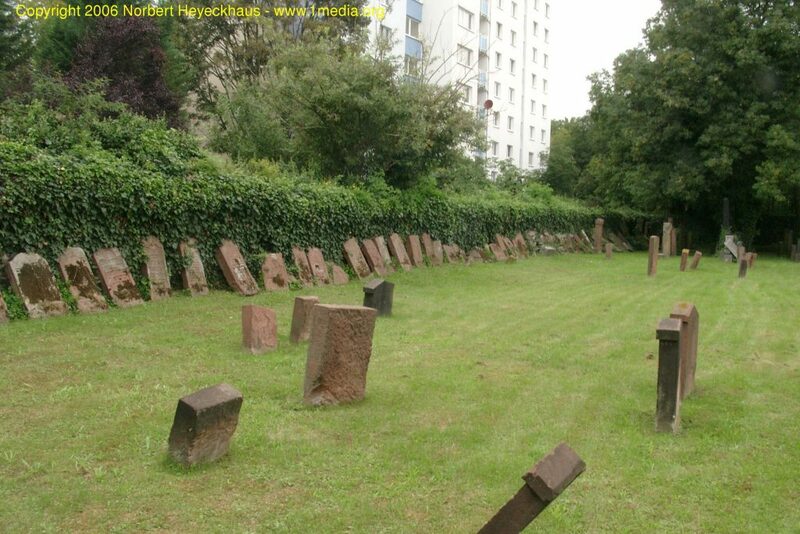 The oldest Jewish cemetery in Heddernheim was founded in 1376 and was occupied until 1827. The site, located at no. 9 in the street “Alt-Heddernheim”, is now built over. The burial ground in Heddernheim now described as the “old Jewish cemetery” was opened in 1827 and is at the northern side of the road “In der Römerstadt” near “Rosa-Luxemburg-Straße”. The area covers 1,753 m². Some of the gravestones of the older cemetery were brought here after it was closed and can still be seen leaning against the wall. 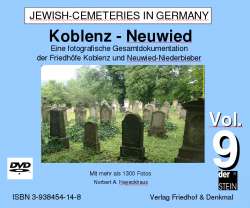 There was also an independent Jewish cemetery in Rödelheim, which belonged to the county of Solms until 1806. In the year 1812 it had 426 members, which represented 30 percent of the Rödelheim population. 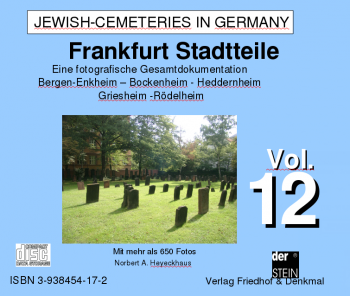 The Jewish community remained independent even when Rödelheim was incorporated into Frankfurt in 1910. 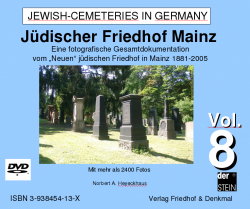 There are still two Jewish cemeteries in Rödelheim. The larger of the two is located at Zentmarkweg and covers an area of 2,724 m². The smaller burial ground located at the Westerbachstraße is 1,498 m² in size. 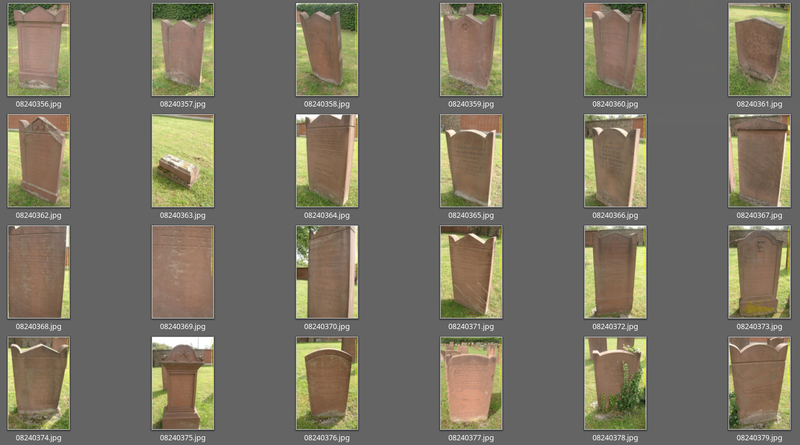 The oldest of the around 20 remaining gravestones date from the 1740s.